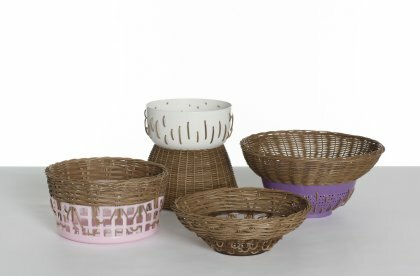 These tabletops from the new collection by Cordula Kehrer recall the idea of the Bow Bins from 2009 and 10, combining ready-mades with traditional wickerwork. 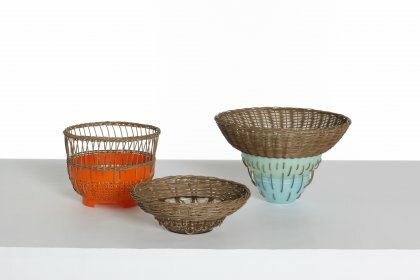 Relics of our throwaway society  that is, old and scratched plastic bowls  are up-cycled. 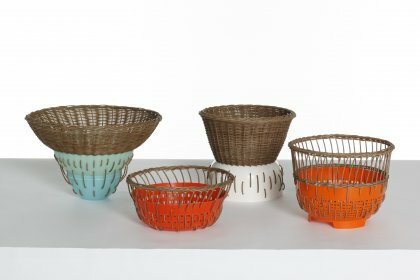 The combination with an entirely different material and a completely different production technique creates originals just right for our modern times.